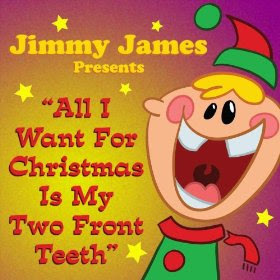 All I Want for Christmas is my Two Front Teeth video Harry Connick Jr. I can fondly recall my grannie singing us this song. This novelty Christmas song was written in 1944 by Donald Yetter Gardner, and was originally recorded with lead vocal by George Rock. I think this is the favorite Christmas song of everyone in the dental profession! Thanks for sharing the lyrics, and that video. This would have to be my favorite song of all time when I was a child because I used to have no front teeth when I was young. I think this was the song that led me to decide to be a dentist because I was always listening to this When I was a child. I always loved this song when I was young. being a dentist now IT seems that I got my wish. Love this song. It used to remind me of Christmas and my will to become a dentist.